Motorcoach; ferries Pembroke-Rosslare, Belfast-Cairnryan. Free Wi-Fi available on your motorcoach and in most hotel lobbies. 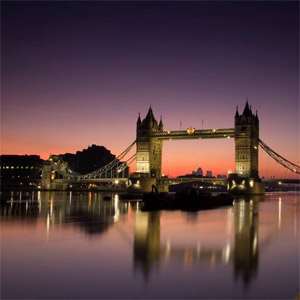 Meet your Tour Director and traveling companions and depart London at 8 am for a memorable day’s sightseeing. Try to unravel the mystery of prehistoric STONEHENGE. Explore the visitor center with its imaginative exhibitions, then admire the magnificence of the monument up close. At the elegant Georgian city of Bath, see the amazing excavations of the ROMAN BATHS. Then, cross the Severn River for a late-afternoon arrival in Wales. Tonight, enjoy a welcome dinner at your hotel. A morning orientation drive in the Welsh capital features all the major attractions. Take a guided tour of Cardiff Castle, and discover its history of invasions, abductions, and conflicts over the past 2,000 years. Continue along the South Wales coast to Pembroke, where your FERRY will be waiting. Cross St. George’s Channel to Rosslare on the Emerald Isle and proceed to Waterford, a stronghold founded by the Danish Vikings in 853. After dinner this evening, enjoy an IRISH COFFEE DEMONSTRATION. This morning, enjoy a guided tour of the HOUSE OF WATERFORD CRYSTAL, then travel on to Kilkenny, one of Ireland’s prettiest towns with medieval cobblestones and Old-World charm. Visit magnificent KILKENNY CASTLE, which overlooks the Nore River and has guarded this important river crossing for more than 900 years. The gardens, with extensive woodland paths, rose garden, and ornamental lake, create the setting for a beautiful stroll. 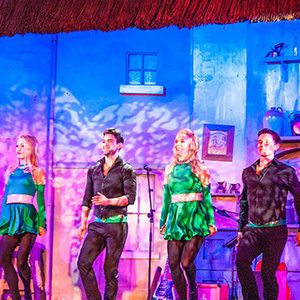 On arrival in Dublin, top the day with an optional Irish cabaret evening, including dinner, dance, song, and laughter. An orientation drive in Ireland’s capital city includes statue-lined O’Connell Street, elegant Georgian squares, St. Patrick’s Cathedral, and Oscar Wilde’s Trinity College. The afternoon is at leisure to explore this vibrant city. 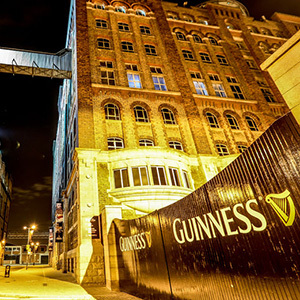 Tonight, maybe take in an optional dinner outing to the Guinness Storehouse. On your way to Northern Ireland, cross the Boyne River, then skirt the Mountains of Mourne. In Belfast, where the Titanic was built, take in the city’s vibrant history and view the impressive City Hall. 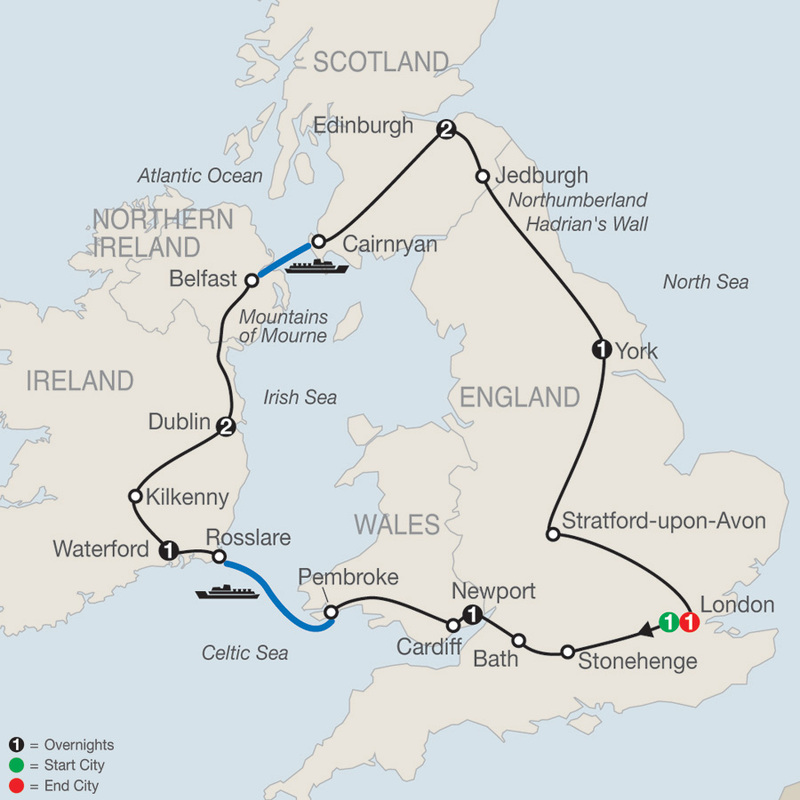 Next, board your FERRY to cross the North Channel to Cairnryan on Scotland’s southwest coast and continue through the scenic Scottish border country to Edinburgh. 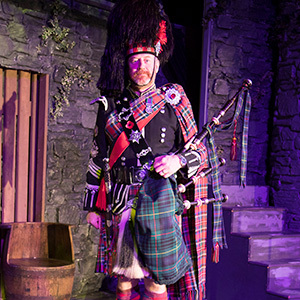 Tonight, relax and enjoy our optional Scottish evening with Highland dancers, bagpipers, and the Ceremony of the Haggis. Morning city sightseeing with a local expert introduces you to the 200-year-old “New Town” and the famous scientists, inventors, and novelists who lived there. In the “Old Town,” visit EDINBURGH CASTLE to admire Scotland’s Crown Jewels. The afternoon is free to enjoy the Scottish capital at your own pace. 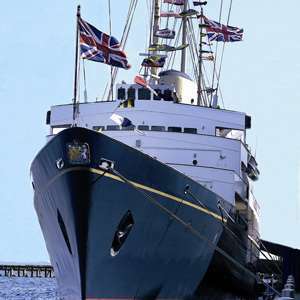 Later, a unique optional excursion: board the former Royal Yacht Britannia, and enjoy dinner at a local restaurant. For departure numbers July 28 through August 18, tickets are included for tonight’s performance of the world-renowned MILITARY TATTOO, a vast spectacle of massed Scottish pipe bands that takes place in an arena on the esplanade of Edinburgh Castle. This morning, drive past the abbey ruins at Jedburgh into wild Northumberland National Park. Later, see a section of Hadrian’s Wall, the Roman coast-to-coast defense against marauding northern tribes. 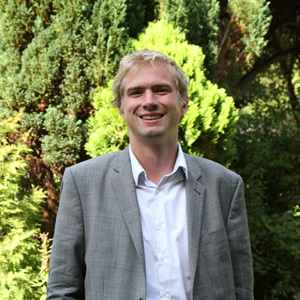 In York, England’s most complete medieval city, stand in awe in front of the great structure of York Minster, then follow your Tour Director through a maze of quaint streets, including the narrow Shambles. On the last leg of your journey, stop at Stratford-upon-Avon, the fascinating Elizabethan town, to take pictures of Anne Hathaway’s Cottage and visit SHAKESPEARE’S BIRTHPLACE. 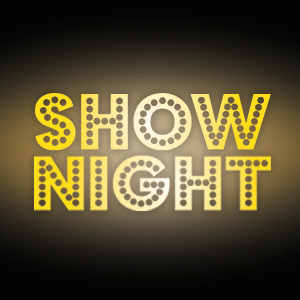 On return to London at about 3:30 pm, a Shownight Theater Evening would be an incredible finale to your vacation.